—Gaétan (Alex) Laprise, Anticosti, Que. 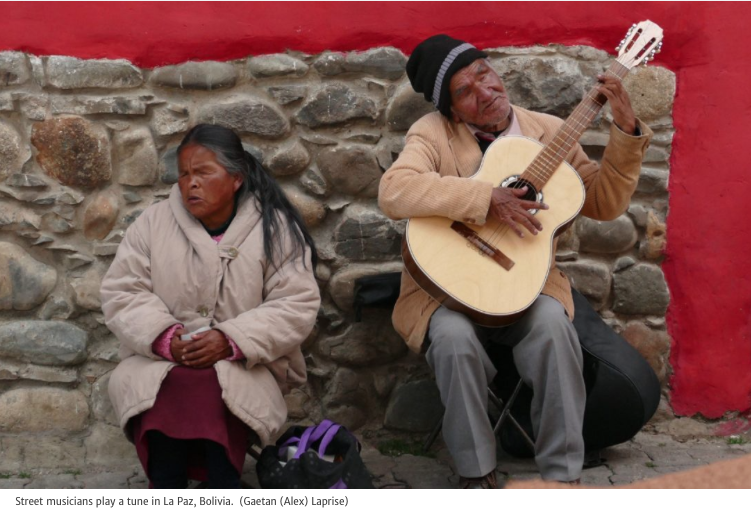 I have listened to street musicians before in La Paz, Santa Cruz and Cochabamba. They mostly perform old Bolivian tunes that most people, under 40 had barely recognize or maybe not ever heard that music. Music survives with these wonderful individuals. This entry was posted in Art, Bolivia, La Paz, Tourism and tagged Bolivian folklore, music. Bookmark the permalink.